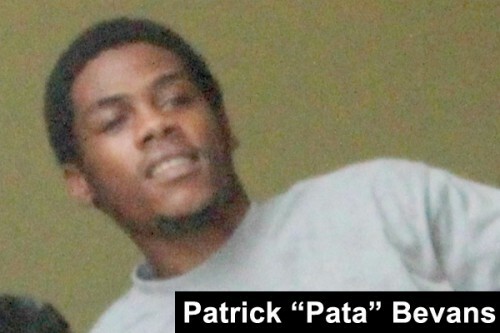 Amandala understands that Belize City police had detained a 15-year-old minor in connection with the murder of Patrick Bevans, 22, which occurred early Wednesday morning, April 23, in the Port Loyola area, but that suspect was later released from custody without being charged. Bevans – whose family told us that he was on crutches at the time of his murder – was shot multiple times in the head and body at around 7:00 a.m. as he was making his way back home after buying from a nearby store on MS Street just a short distance from his Louise Bevans Street home. Bevans’ murder was the third in the area in three weeks, and residents believe that it was due to increasing tensions instigated by affiliates of two notorious city gangs – one of which is allegedly trying to carry out a so-called “takeover” of the Jane Usher Boulevard Area. The police at Precinct 2 stated that they have also noticed a spike in violent crime in that area and have therefore boosted both foot and mobile patrols to try and curb further violence. Since the broad daylight killing of Bevans – who was known to be a street figure – law enforcement authorities have also installed a Mobile Command Center, also known as a Police Peace Caravan, in the heart of the crime-ridden area while they continue interviewing people from the area in connection with Bevans’ death.